While reading James Hannam’s blog Quodlibeta I noticed this post, discussing the history of vivisection and dissection. It references a rather bad-tempered post by atheist polemicist Richard Carrier here. The nice thing in the discussion is to see ancient medical writers discussed and quoted. James shows that the Hellenistic physicians Herophilus and Erasistratus carried out human vivisections in Alexandria, as witnessed by Celsus the 1st century medical author. He rightly comments that we should not suppose that, just because we would find this appalling, an ancient would do so. Martial’s epigrams describing things done to criminals in the arena make that plain enough. I had never heard of Herophilus, still less that a edition of the fragments existed by Heinrich von Staten (Cambridge, 1989). Religious controversy does unearth things that calmer debate would not, and we can all be enriched therevy. Richard Carrier’s post is too long and too far outside my area of interest (and too unreferenced) for me to read much of it. A couple of passages in it caught my eye accidentally. He objected to a Christian saying “[The Christians] preserved and copied an enormous amount of Greek mathematics, technical writings, and natural philosophy.” This unexceptionable statement apparently upset Dr. C, who met it with the objection that only a tiny percentage of ancient literature has survived. I was unclear how this evidently true observation refuted the point made, however. Surely both are true? 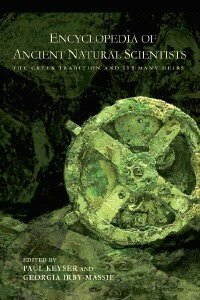 Science accounts for more of the texts surviving from antiquity than any other sort of writing, and yet is rarely studied or even read because the texts are relatively hard to find in translation. Well said, sir! How many of us are even familiar with the dusty volumes of ancient science, the 20-odd volumes of Galen, and the like? I don’t pretend to be that interested in the history of science, so much of what was discussed was above my head. But one element involved a curious misunderstanding. Carrier barks repeatedly that the term “Dark Ages” is one that is being suppressed in our day, and being suppressed by the awful Christians, because they are trying to conceal how awful it was. The attempts to remove the term from our language certainly exist, in our day, but I never heard that the Christians were responsible. After all, whoever used any other term, before our own days? On the contrary; most Christians I ever heard of think the middle ages was a period of degeneration in religion and everything else, and think of the poor conditions in the West during the Dark Ages, rather than the unknown splendours of Syriac and Arabic science. The people who object to it seem primarily to be the medievalists. Presumably professional pride influences this. Indeed one medievalist has never spoken to me, ever since I queried a gross mis-characterisation of that wretched period of human existence. Another, probably more influential group, seems to be the politically correct. Why these object to it I do not know. But what seems quite clear to me is that the dichotomy is not between Christian and heathen, but between those like myself who look at the Dark Ages as a time in which we would certainly not like to live, unlike antiquity; and those more interested in it who see things differently. Dark ages properly is a time for which we have no historical sources describing. After the Romans left Britain no historical source describes the events hence it is proper to call the time between the Romans leaving and the Viking raids “the Dark Age” but only for England. For the Byzantine Empire though it is very improper to call it a Dark Age because we have for example Procopius. It is very surprising what in Greek history can be called a Dark Age and what can not. The chaos after the end of Mycenian civilization is improper to call Dark Age because through myths and legends it is better known than the time that preceded it. On the other hand it is proper to call the time of Pericles a Dark Ages because between when Herodotus ends and Thucydides really begins there is a serious gap. This is despite the fact that this is considered by classicists THE brightest period in Greek history (I would disagree). The Medievalists who have been moved to replace the term “Dark Ages” with less pejorative descriptions aren’t simply doing so out of “professional pride”. While the term is certainly still used (and used, I would argue, with good reason) for the early centuries of the Medieval Period, in the public’s mind it stands as a synonym for the Middle Ages generally. I regularly find people still insisting that the whole period from 500-1500 AD was a “dark age” until the wonderous Renaissance come along and made everything okay again. Carrier seems to be clinging to this idea, though he does so by fiddling the dates and making the Thirteenth or even the Twelfth Century part of his remarkably elastic “Renaissance”. Personally, I think it’s a bit quixotic to try to educate people about the Middle Ages by attempting to banish a mis-used term. Few Medievalists I know would regard the actual Dark Ages – circa 500-1000 Ad, give or take – as anything other than a period where most things were nasty brutish and short. It when people try to extend that into the central and high Middle Ages and well and fawn over the slavish aping of the Classical Age that marked the Renaissance movement that we Medievalists begin to lose patience. And polemicists like Carrier who not only do this but perpetuate the periwigged Enlightenment myth that the Dark Ages were all Christianity’s fault are even worse. I intend to post my own comments on that silly post by Carrier on Armarium Magnum. I will not be kind. Thank you Tim for your comments. I have to say that I wasn’t aware that people might use the term “Dark Ages” for the period from 1000-1350. That usage would seem silly to me, I agree. I suppose what they mean is “the period from the fall of the West to the renaissance was a dark age for classical studies”. I can see what is being said, and there is truth in there. But as a description of the period, rather than an excuse not to, it is woeful. I look at all of this from the perspective of manuscripts of ancient authors and paleography and the transmission of texts. That tells a story of catastrophe in no uncertain terms, reaching a nadir sometime in the 7th century when the words in some mss. are drawn, not written, because the “scribes” are illiterate. The latter is of course an example of how the Benedictine rule forced the preservation of books, despite Carrier’s remarks. We look at the losses of texts in that period; that the transmission of all too many works simply comes to an end. But the same evidence also tells the story of the recovery, that starts with Charlemagne and that we see getting underway with Lupus of Ferrieres (and his complaints about barons laughing at literacy), and that is well underway by 1066 and blossoms into the real medieval period thereafter. We don’t lose works in this period, or not to nearly the same degree. There are people, tho, who insist that classical civilisation never really collapsed. I can’t quite relate to that. Indeed I encountered one who had the cheek to claim that knowledge of Greek did not diminish in the West in this period, and when queried replied that Greek was well known at Ravenna in the 6th century. An army of Greek soldiers at Ravenna was hardly evidence for the persistence of Greek studies in the way that Cicero knew them, but this did not faze him. All rather unnecessary, this sort of thing. You don’t know the half of it, Roger. I had a person visit one of my old webpages who was totally amazed to find out that any form of Gaelic, Irish or Scottish, had been written down before the late 19th century. Had no idea that anybody wrote anything in any European vernacular during the entire length of the Middle Ages. This is the sort of concept people have — that all was dark until the Enlightenment, or possibly a very late-dated Renaissance. It’s not as if they’re going to learn any different in most schools, unless they do outside reading. Depending on the church, you may even get fed this as part of your religion. This is why a lot of these missionary atheists get away with making crazy claims; people literally don’t know any better. Gosh. But surely everyone knows of “days of old when knights were bold”? As opposed, I mean, to the Dark Ages which merely consisted of vikings coshing people? “1066 and all that” — the only reliable history book!